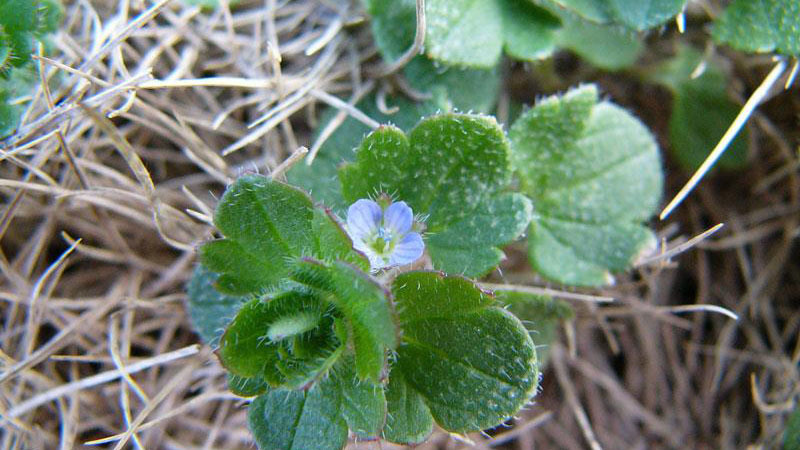 Ivyleaf speedwell is a common North Carolina winter annual weed found in open fields and grassy areas along roadsides. 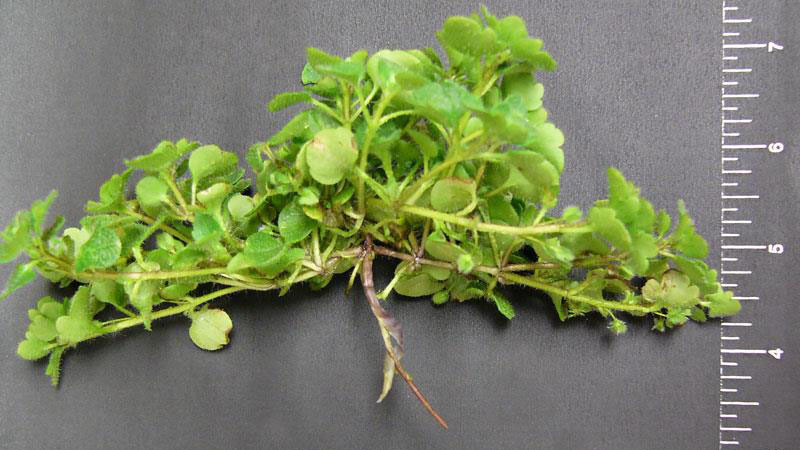 This plant is low-growing and creeps along the ground like ivy. 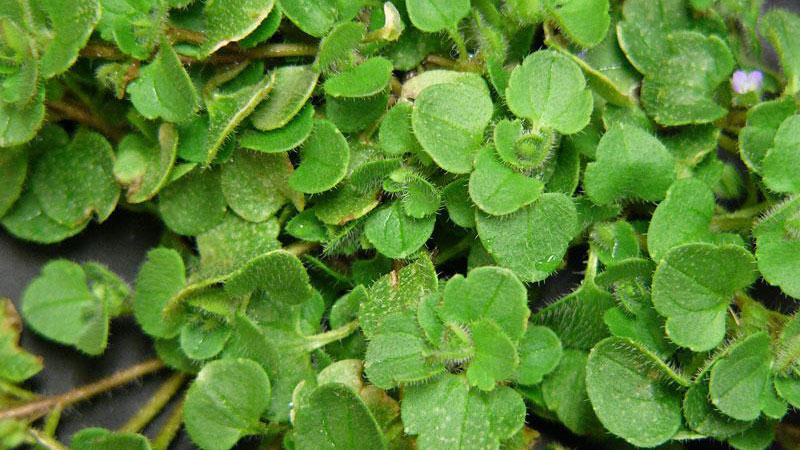 It has distinctive 3-5 lobed leaves that are densely hairy. 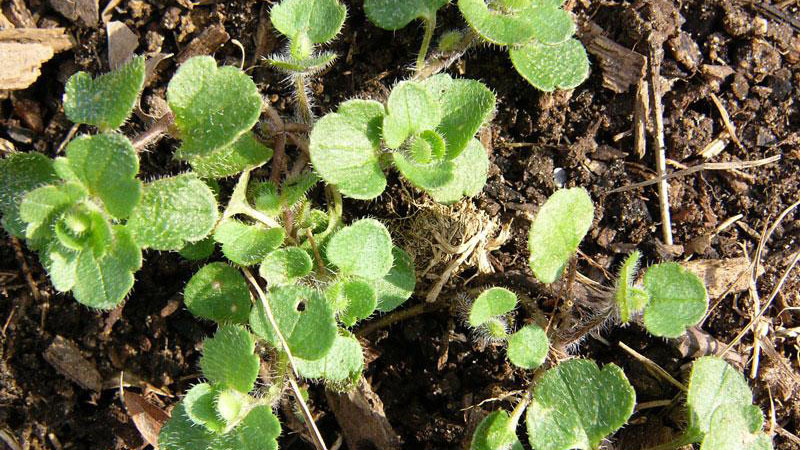 Like the other speedwells, the leaves are both alternate (end of stem) and opposite (base of stem). 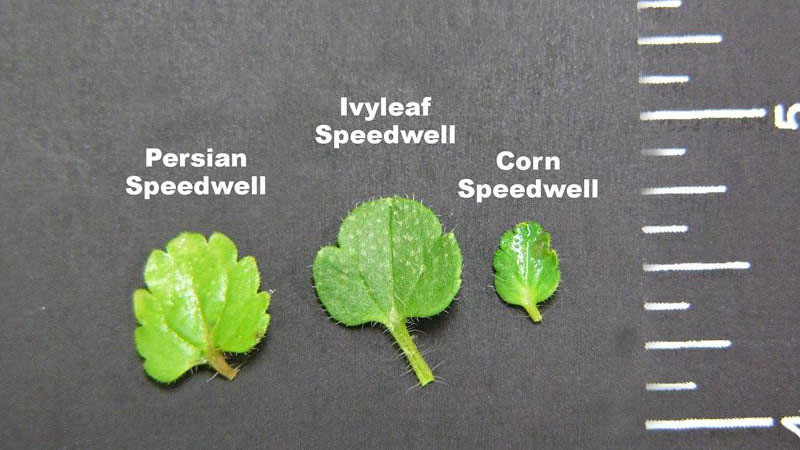 Ivyleaf speedwell leaves are thicker and less serrated than those of either corn or Persian speedwell. Ivyleaf speedwell flowers in the spring. 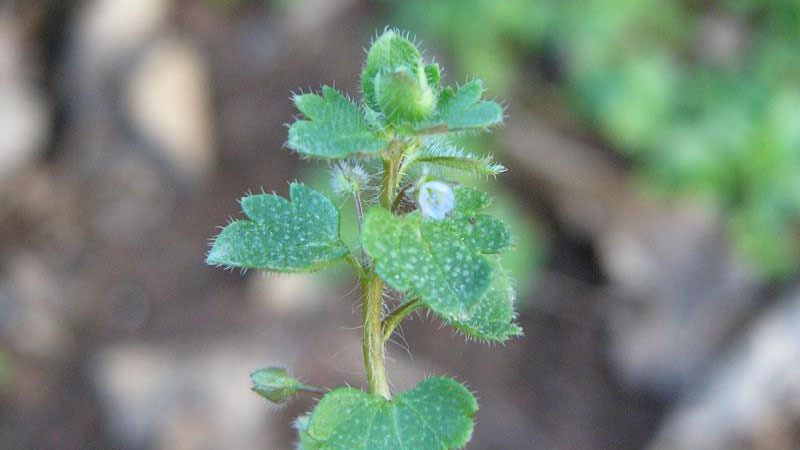 The flowers of both ivyleaf and Persian speedwell are blue and are borne on stalks longer than 1 mm, whereas those of corn speedwell are borne on stalks less than 1 mm in length. The seedpods are heart-shaped for all three species. 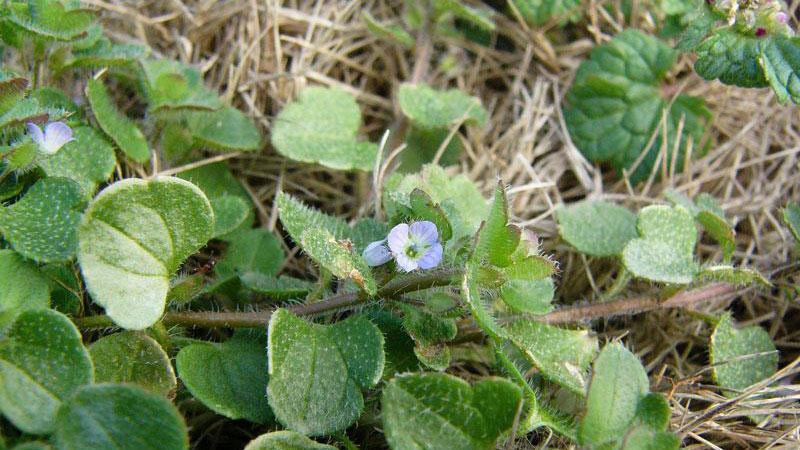 Ivyleaf speedwell is common in North Carolina in open fields and grassy areas along roadsides. 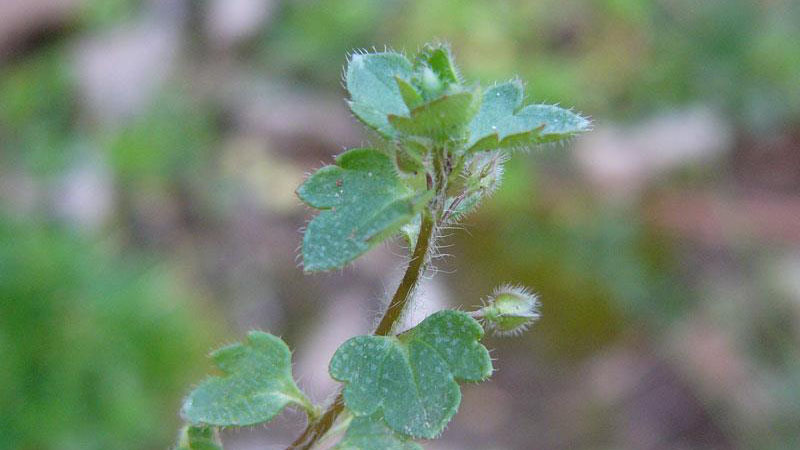 This plant is a low-growing winter annual that creeps along the ground like ivy. 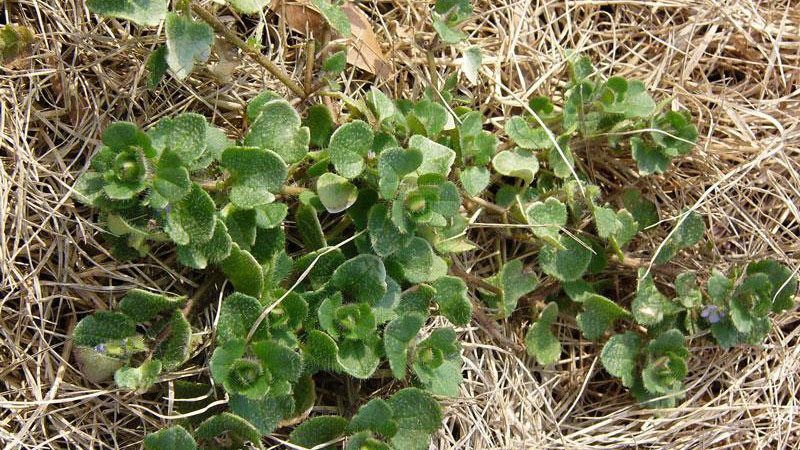 Winter annual broadleaf weeds germinate in the fall or winter and grow during any warm weather, which may occur in the winter, but otherwise remain somewhat dormant during the winter. They resume growth and produce seed in the spring and die as temperatures increase in late spring and early summer. They quickly invade thin turf areas especially where there is good soil moisture. Shade may also encourage growth. 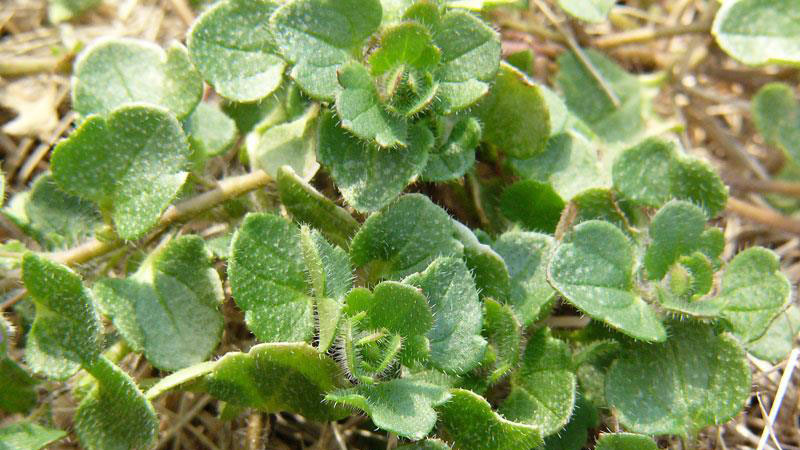 A dense, vigorous turf is the best way to reduce the encroachment of this weed. First, select adapted turfgrass cultivars for your area and then properly fertilize, mow, and water to encourage dense growth. 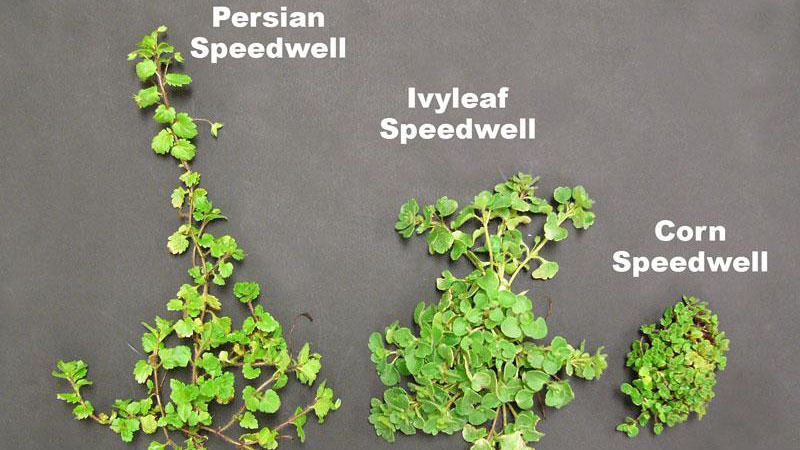 Ivyleaf speedwell is similar in appearance to Persian and corn speedwell, but is easier to control than corn speedwell. Figure 1. 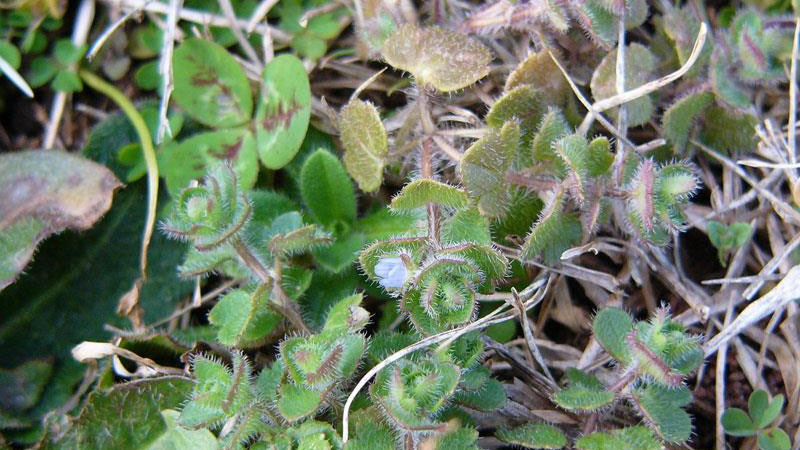 Ivyleaf speedwell growth habit. Figure 2. 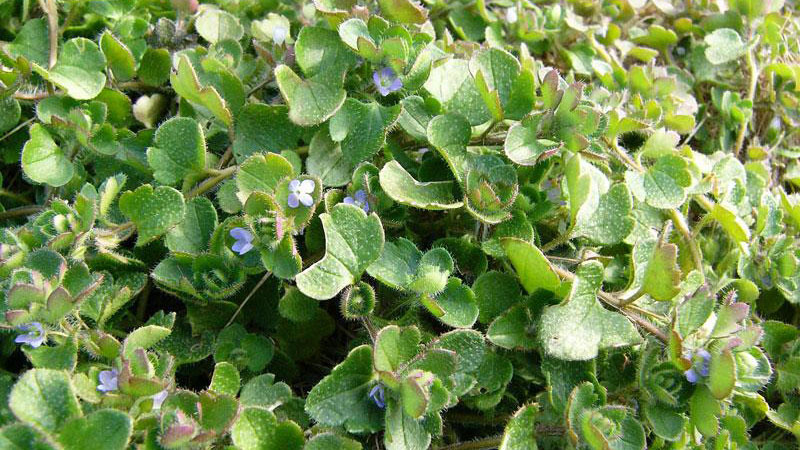 Ivyleaf speedwell growth habit. Figure 3. Ivyleaf speedwell growth habit. Figure 4. 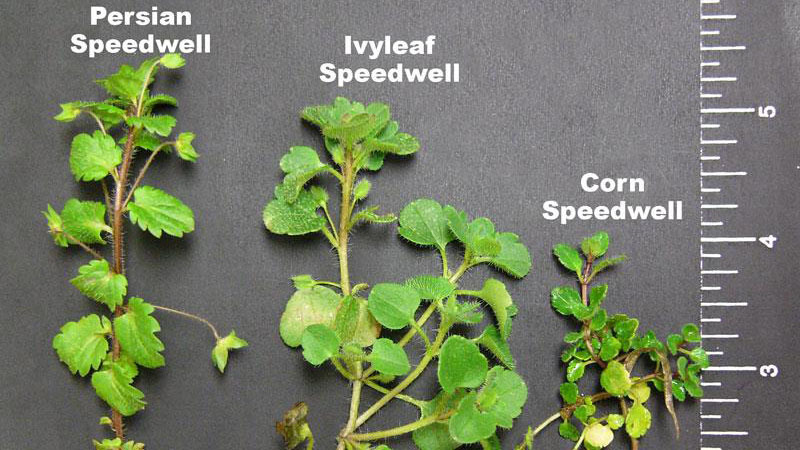 Ivyleaf speedwell growth habit. Figure 5. Ivyleaf speedwell growth habit. Figure 6. 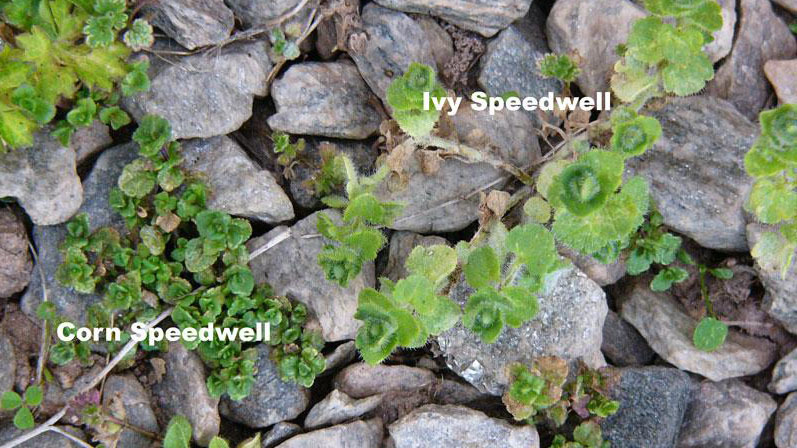 Ivyleaf speedwell growth habit. Figure 7. 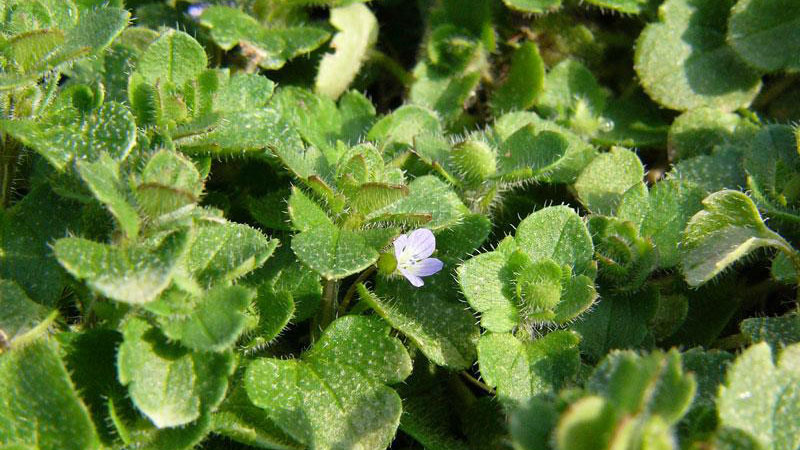 Ivyleaf speedwell growth habit. Figure 8. Ivyleaf speedwell growth habit. Figure 9. 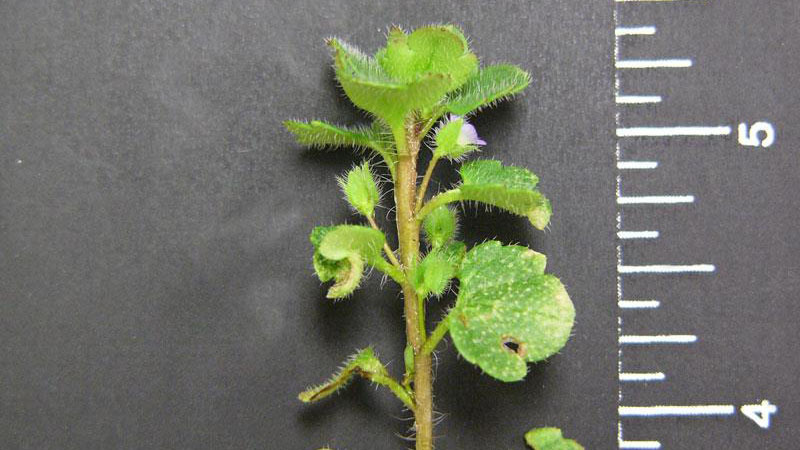 Ivyleaf speedwell growth habit. Figure 10. Ivyleaf speedwell leaf margin. Figure 11. Ivyleaf speedwell leaf hairs. Figure 12. Ivyleaf speedwell leaf hairs. Figure 13. Ivyleaf speedwell leaf hairs. Figure 14. Ivyleaf speedwell leaf hairs. Figure 15. Ivyleaf speedwell leaf hairs. Figure 16. Ivyleaf speedwell leaf hairs. Figure 17. Ivyleaf speedwell leaf hairs. Figure 18. 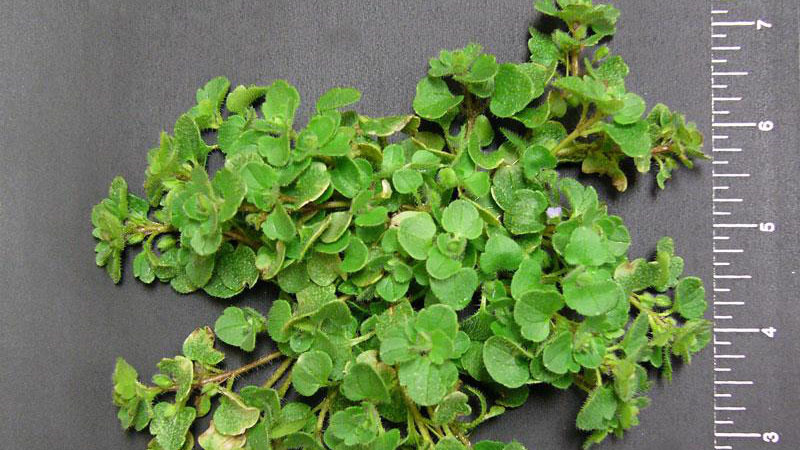 Ivyleaf speedwell flower color.